New skills and tricks build upon themselves, not only in riding different things, but also within variations of individual moves. Klarich came up with the180 whip-tick in 1983. In the late 1980s he added the LD (long distance) version, seeing how long he could hold the backwards position. With these two moves under his belt, it was just a hop, skip and a jump away from the Tick Tock Toe. He flipped through the pages of Water Ski Magazine, and saw a backwards barefoot skier riding on one foot with their free leg held high. 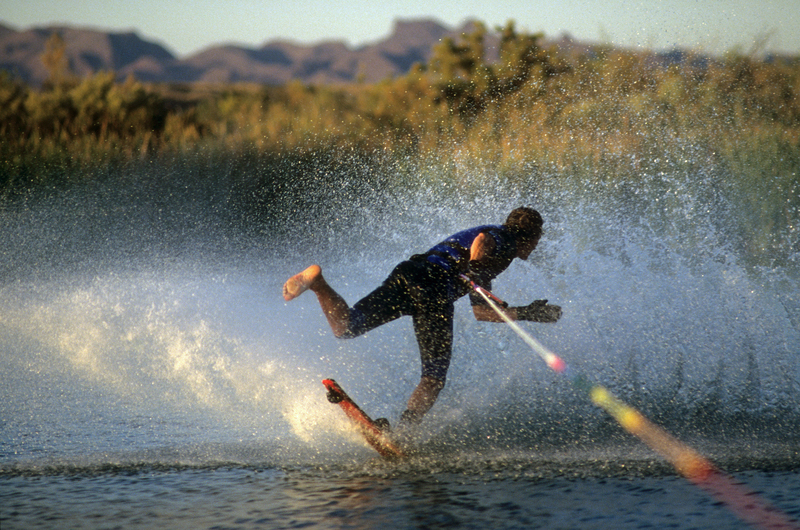 That photo cued him to wonder how to do the same on a slalom ski. In less than a minuteheI knew it would be during the LD whip tick. Out on the water he started making them on his first set. The only difficulty was the turn from back to front. It didn’t take long to figure out that it was better to leave the foot out, then hop to the front and drag that free leg in the water for balance.